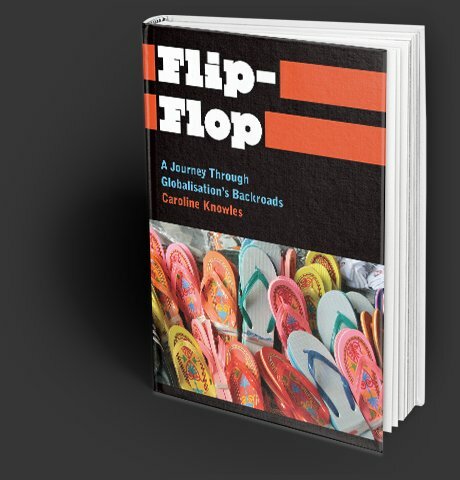 Since 2006 Caroline Knowles, Professor of Sociology at Goldsmiths, has been following the flip-flop trail; the territory across which a pair of flip-flops travel during their lifetime. Caroline started this journey because she wondered what the ordinary everyday objects we take for granted can teach us about the world in which we live. There are several things we can learn from this journey and the precariousness of where and how we live today. 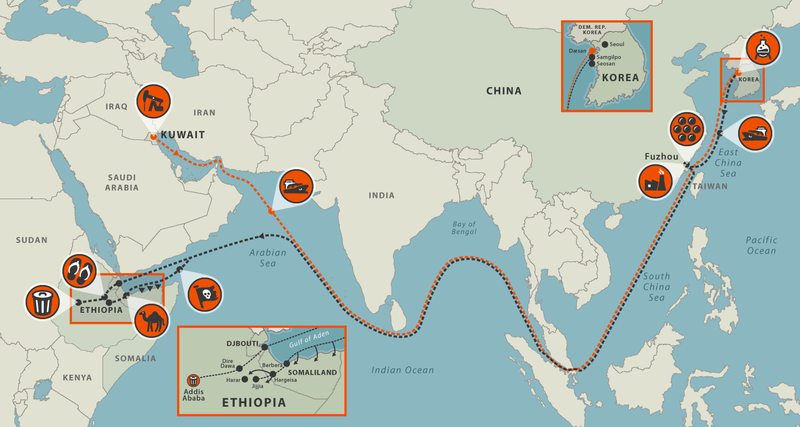 To find out more about the fascinating global journey of a humble flip-flop follow the trail on this website. You might have a pair of flip-flops; perhaps something you have not given much thought to. I don’t think about mine. They sit at the back of a closet, suited only to journeys I don’t want to tackle barefoot – to the swimming pool, between the beach and the car park or the terrace - which don’t call for more formal shoes. Flip-flops are an accessory; they are accessory in being unassuming, secondary to more serious footwear in which more significant journeys are undertaken; accessory, as in not the main story, as in just a footnote. This website follows a footnote through the landscapes, lives and stories animating it. Following flip-flops teaches us about globalisation; about people and places we have yet to imagine. The materials from which flip-flops are made – plastic – may seem cheap and insignificant. But so many things in the world in which we live are made of plastics. In a world on the move, what could be more important than the shoes in which we tread the journeys of our everyday lives? And flip-flops are simple in design, cheap and accessible: they worn by more people on the planet than any other shoes. In flip-flops we are all fellow travellers. Use the map to navigate the trail, or start at the beginning by clicking below. Caroline writes about migration and circulations of material objects – some of the social forces constituting globalization. She is particularly interested in cities, having done research in London, Hong Kong, Beijing, Fuzhou, Addis Ababa, Kuwait City and Seoul. Author of many books and papers, she specializes in visual, spatial and biographical methods, often working with photographers and artists, most recently with Michael Tan (Nanyang Technological University, Singapore), and Douglas Harper (Duquesne University, Pittsburg). 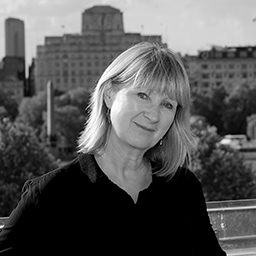 She is co-author, with Douglas Harper of Hong Kong: Migrant Lives, Landscapes and Journeys, published (2009) by the University of Chicago Press. She recently held a Leverhulme fellowship, ‘From Oil to Garbage: Navigating the Flip-flop Trail’. She works with Ho Wing Chung, at the City University Hong Kong, on ESRC project, ‘What calculations and Strategies Drive Young Migrants? An Investigation of the Traffic between London, Hong Kong and Beijing’, and with Roger Burrows, Rowland Atkinson, Tim Butler and Mike Savage on ‘The Very Affluent Worker: A Study of Everyday Life in the Alpha Territory’. Caroline discussed the Flip Flop Trail with Laurie Taylor on the BBC Radio 4 programme Thinking Allowed in July 2014. You can download the program as a podcast from the BBC website. While this website provides an overview of the trail and some of the things happening along it, the book contains both more detail and depth, particularly it offers an analysis of how globalisation actually works, and walks, along the backroads. The Book is published by Pluto Press and is available to buy from their online bookstore. Thanks to my collaborators in Kuwait, Korea, China and Ethiopia and to Michael Tan for being my fellow traveller and photographer. The British Academy funded the research on the early parts of the trail. The Leverhulme Trust funded the rest. I am most grateful for the sponsorship of these funding bodies. Jane Plastow, Belayneh Abune, Elizabeth Moges, Kibralem Fanta and Daniel Sileshi smoothed the trail through Ethiopia. Fatmah, Mohammed, Samira, Maryam, Quinsan Ciao, Beverly Skeggs, Jeremy Anderson, Abbas Nokhasten, Baker Khundari, Bilal Malkawi, Tariq Al Hajji and Geraint Fox helped me navigate Kuwait. Doonwok Dean Oh, Young Jeon Kim, Miri Song and Susan Choi, helped me understand Korea. Xiuchan explained China and introduced me to the right people. He Wenxian, Fan and the students were fabulous. Mohamed Hassan advised on Somalia. Pat Loughrey and Liz Bromley made sure I didn’t go there. Vered Amit rescued the manuscript that eventually became a book of the flip-flop trail from the wastepaper basket.